Con la medida aprobada en el parlamento guyanés por el opositor Partido Progresista del Pueblo (PPP), se producirán elecciones en 90 días. La moción de censura contra David Granger se tomó en la madrugada del sábado 22 de diciembre con 33 votos a favor y 32 en contra, refiere agencias internacionales. Un diputado de la gubernamental Coalición para la Unidad Nacional (APNU, en inglés), Charrandass Persaud, a última hora se cambió de bando y apoyó la medida opositora. 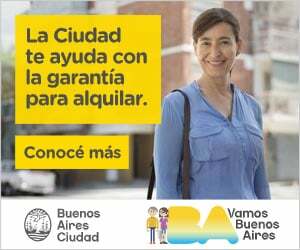 Ese cambio inesperado rompió la mayoría mínima de la que gozaba Granger y lo forzó a convocar a elecciones en marzo que debía finalizar en 2020. 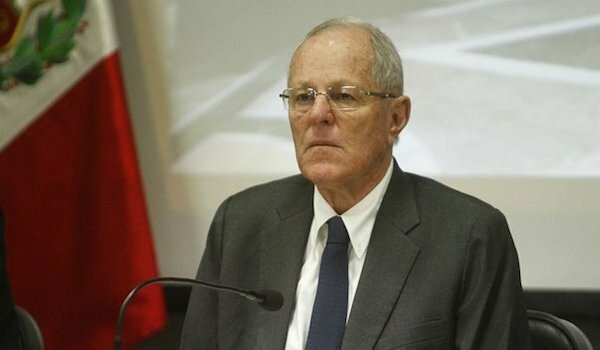 Es la primera vez que el Parlamento de Guyana llama a un voto de censura contra el jefe de Gobierno. Guyana inició operaciones de explotación petrolífera en áreas que Venezuela reclama como propias con base en el Acuerdo de Ginebra de 1966 que invalidó el Laudo Arbitral de París de 1899, aquel que definió de forma arbitraria los límites fronterizos con la excolonia británica Guyana. Con el Acuerdo de Ginebra, Guyana Británica reconoció el reclamo de Venezuela sobre el territorio anexado así como el área marítima. 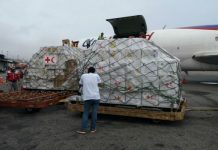 Desde entonces ambos países decidieron aceptar el método de Buenos Oficios de la Organización de Naciones Unidas (ONU) para encontrar una solución pacífica a la disputa. Former Speaker of the National Assembly, Ralph Ramkarran said that he always saw the safe passage of a no-confidence motion against the APNU+AFC Government as a distinct possibility. Ramkarran noted that because of Persaud’s vote, Guyana has now had two governments of the main parties whose terms lasted for only three years. He said that this reality suggests that a degree of instability has crept into the political landscape. “It cannot be predicted whether this will continue. Even if it does, it is preferable to the 20+ year entrenchment in office that Guyana has been a victim of in the past. It is hoped that the electorate can be persuaded to consider a model whereby the main parties are kept below an absolute majority and are forced to compete for the support of smaller parties to stay in office. One party majoritarianism will not resolve the problems arising from Guyana’s ethno-politics. The electorate did not succeed in 2011 and 2015. It can still succeed if it is still motivated to hold the major parties in check,” said Ramkarran. He noted that Guyana will be having elections in three months, with the two main parties being led by different persons—persons who are not the current heads of the parties. Ramkarran pointed out that the PPP is in the process of selecting its presidential candidate. 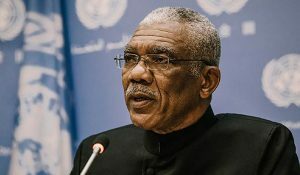 And, that President Granger’s chemotherapy treatment is likely to continue into and beyond the election period and the likelihood is that his recovery will not be complete by that time and he might not be able to endure the rigours of an election campaign. Also, Ramkarran said that smaller parties, already established and soon to be established, will be gearing up within the limited time available to contest the elections and test the potential of Guyana to develop beyond the rigid ethno-political system that has dominated the country’s politics since Independence. According to the veteran politician, it will be a matter of the “greatest interest” to observe whether the APNU+AFC (if the coalition holds) will repeat the promise of reforming the Constitution to provide for a government that includes more than a single political force. Ramkarran said that if this promise is repeated, it will be interesting to see what guarantees are given this time around that those promises will be kept. Further, Ramkarran said that while the PPP did not make any such promises in the 2015 election campaign, it said that it would not oppose constitutional reform. He said, “The PPP may well consider that the time has come for consideration to be given to bringing an end to one party majority rule. Every thinking Guyanese, except those active in our main political parties, is aware that the complex issues relating to the management of Guyana’s oil resources needs all hands on deck, including both political parties. The size and complexity of the tasks yet to be accomplished suggest that no single political party can satisfy the nation that their interests are being protected. The passage of the historic No-Confidence Motion against the APNU+AFC administration does not come as a surprise to many local analysts. On Saturday for example, Executive Member of the Working People’s Alliance (WPA), Dr. David Hinds opined that the Motion’s success exposed the deteriorating relations within the coalition party. But Chartered Accountant, Chris Ram, who agrees implicitly with that point, took it a little further. For him, it was President David Granger’s failure to deliver the leadership needed by the country and his Party which should be blamed. Ram said, “The Head of State offered very little leadership and he allowed some of his ministers to run uncontrolled. He also failed to deliver on some of the commitments he made (such as fixing Campaign Financing Laws, ensuring Constitutional Reform and establishing an Investigative Commission on Corruption). 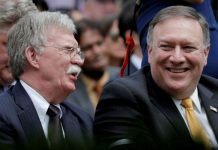 And he swore to uphold the Constitution and I can’t say that he has an extremely positive track record in this regard…”. The Chartered Accountant stressed that at some point, Granger and the rest of the APNU+AFC leadership have to take responsibility. He added, too, that whatever one might think of the Opposition Leader, Bharrat Jagdeo, it is undeniable that the timing of his move for a No-Confidence Motion showed some political cunning if not genius. Since former AFC Member, Charandass Persaud gave his support to the Opposition’s No-Confidence Motion on Friday; the debate has been unending about what his move means for coalition politics in Guyana, among other things. Ram insists however that a vote of No-Confidence is part of the democratic process and the nation should be celebrating this. On Saturday, President David Granger by way of a statement to the media said that his government will abide by the Constitution which requires elections in three months. The Head of State also made it clear that his government will embark on discussions with its coalition partners, the Alliance For Change (AFC) and those who are part of A Partnership for National Unity (APNU). “We will do everything necessary to facilitate the smooth functioning of General and Regional Elections, bearing in mind the need for normal governmental functions to continue uninterrupted,” President Granger said. The President added, “This is a constitutional process, which can have favourable outcomes for the nation… There is no cause for alarm and there are no grounds for any form of disorder. We will continue to work to provide a good government and deliver public services to the people and to work even more closely with the opposition”. President Granger disclosed, too, that he met with some Ministers yesterday morning. These will henceforth be engaging the AFC ministers, he added. El Gobierno nacional exigió este domingo a Guyana el respeto de su soberanía luego de la incursión de dos buques contratados por la ExxonMobil en aguas jurisdiccionales, indicó el canciller de la República, Jorge Arreaza, a través de su cuenta en Twitter. “Ante la flagrante violación de nuestra soberanía por parte de buques de exploración petrolera contratados por Guyana, la Armada Bolivariana procedió a aplicar los protocolos correspondientes con estricto rigor y apego a los acuerdos y tratados internacionales”, escribió el canciller. 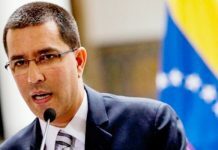 Arreaza compartió un comunicado oficial donde se expone que Venezuela “ha trasladado la correspondiente nota de protesta al gobierno de la República Cooperativa de Guyana ante esta inaceptable violación a la soberanía nacional”. Asimismo, la misiva insta a Guyana a restablecer el diálogo directo con las autoridades venezolanas, sobre la “flagrante violación” a la soberanía. El sábado una embarcación de la marina venezolana se aproximó a un buque de investigación sísmica contratado por ExxonMobil frente a las costas de Guyana. 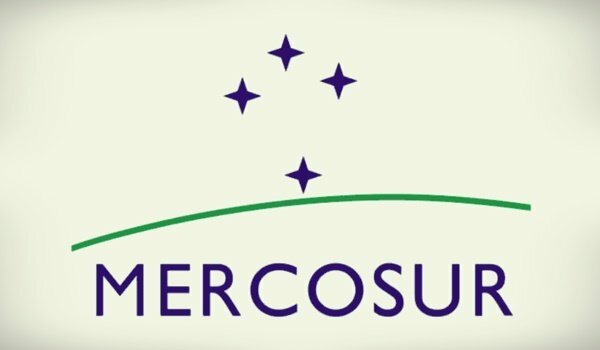 El Ministerio de Exteriores guyanés calificó la acción de Venezuela como una “incursión peligrosa en aguas locales”, luego de que el buque noruego contratado por ExxonMobil fuese interceptado por una embarcación de la armada venezolana. El Gobierno de Guyana consideró que la acción de Venezuela fue un “acto ilegal, agresivo y hostil” que “una vez más demuestra una amenaza real al desarrollo económico de Guyana por parte de su vecino occidental”.